Studies suggest that approximately 10% of the world population is left-handed. So I wondered are there left-handed potato peelers for sale. So I started to google the search term “left handed potato peeler” and google came up with 2060 exact matches. Not so much but enough. Almost all of them a commercial links for buying a left handed peeler. 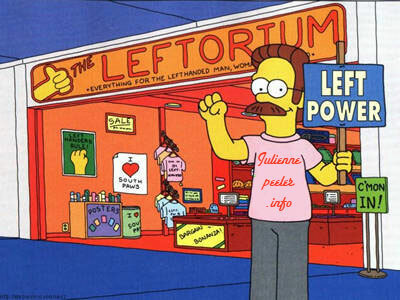 I think the reason why there are no more search results is that almost all julienne peelers can be used left and right. But there are ergonomic handgrips especially for left handed people. Love apples or potatoes but don’t really care for the peel? 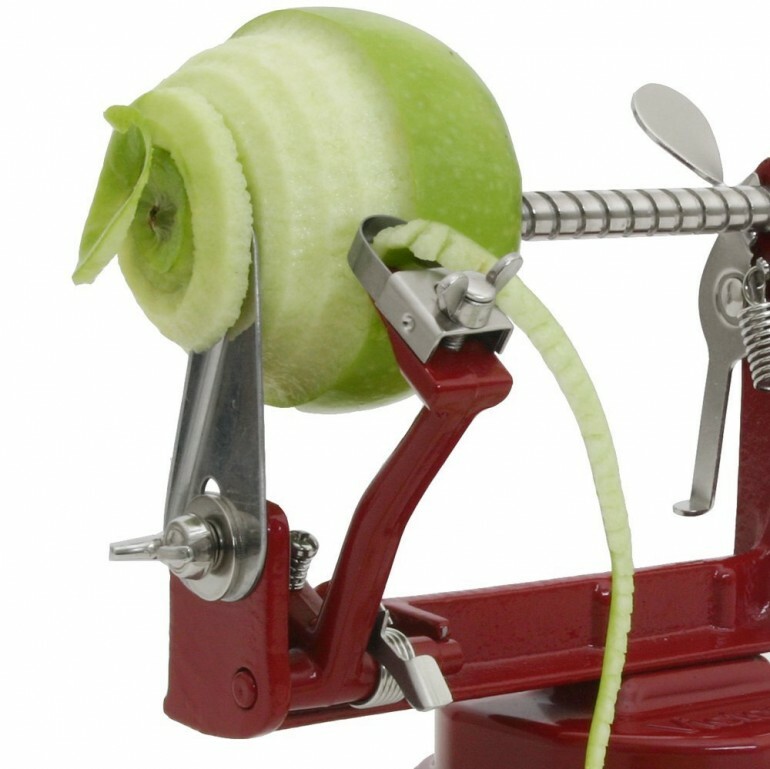 The Victorio apple and potato peeler is here to help. For apples it can quickly peel, core and slice with a few turns of the handle. Just remove the coring blade and peeling potatoes is a snap. Plan on using it a lot? Don’t worry, the unit is sturdy enamel-coated cast-iron and all the stainless steel blades are adjustable and replaceable. It will last for years even with heavy use. We are so sure we back it with a 5-year warranty. Strong suction base keeps unit firmly in place on smooth non-porous surfaces. Also available in clamp base model (VKP1011). For best results when potato peeling U.S. Number 1 grade potatoes are recommended. Julienned pepper made with a julienne peeler, can it be done? Is it possible? 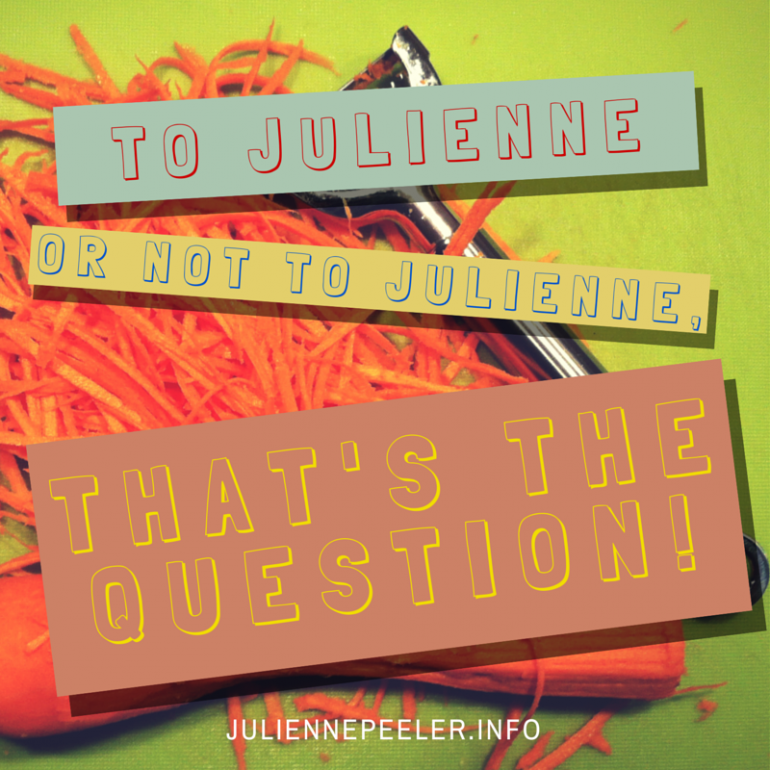 Making julienne from peppers with a julienne peeler? I can tell you, it’s possible. Using a peeler instead of making julienne with a knife hase it’s advantages and also it’s disadvantages. The julienne are finer than cut with a knife. Ideal for decorating appetizers or an entre. More about that in the next article. They cook faster and dissolve al little in the dish. They are better digested because they are so thin. 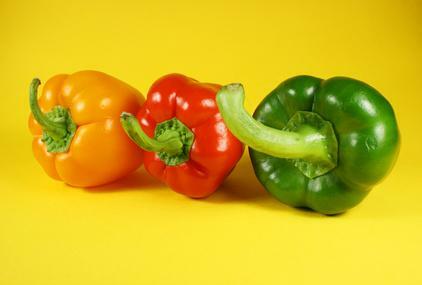 Especially with peppers, they can weigh heavily on stomach because of the pepper peel. In this infographic you can see how to make Parsnip julienne. The peeler I used is the Rösle julienne peeler, you can find a review over here. We have the same question every year “What to give to your loved ones”. Wouldn’t be nice to give something practical that speeds up prepping your food? If you have a fixed budget like me this nifty little utensil is the perfect gift. All my sisters and brothers in law have to draw each year names and we buy each other little gifts under 10 dolars. And I know that my sister for whom I have to buy a gift hasn’t a julienne peeler. So the perfect gift I would think. This (Precision Kitchenware) peeler I prefer. It’s stainless steel and it has to functions – peeling and julienning. If you are search for an awesome gift for your vegetarian friend. Why not a noodle maker? Not a pasta noodle maker but a vegetable noodle maker. So you can replace your pasta (carbs) with zucchini, cucumber or sweet potato noodles. 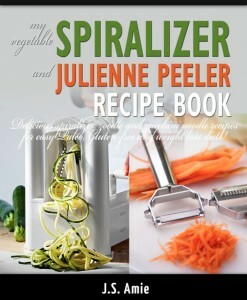 On Amazon you can find lots of great spiralizers. 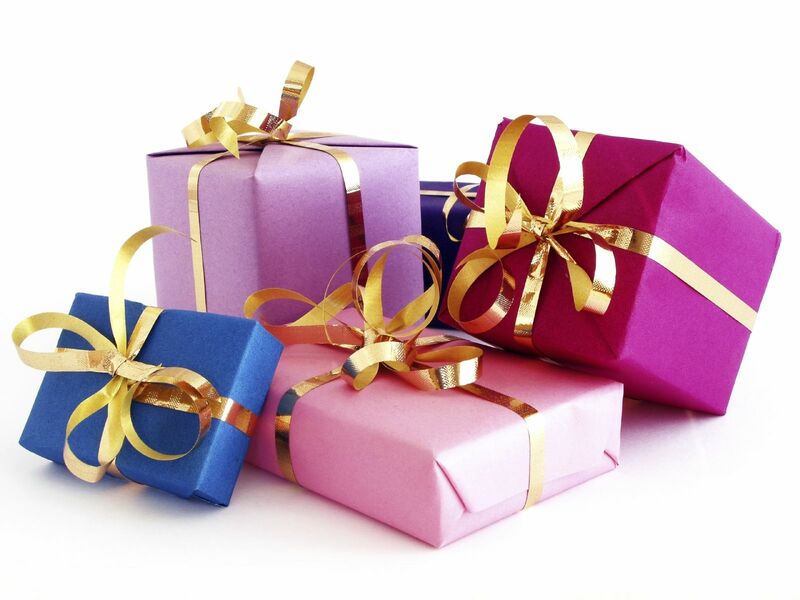 You can add an extra to your gift, Maybe wrap it separately. It’s always fun to receive many presents. For example a noodle cookbook. It sounds old-fashioned and maybe it is, but it is so versatile. 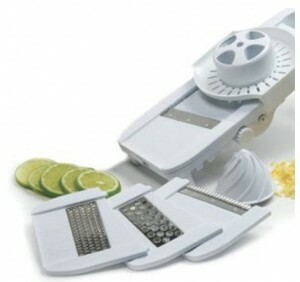 By switching the blades you can change the function of your mandoline. Some have five or more functions – slicer for slicing, grating, shredding, and juicing. If you want to buy one, make sure you buy quality. There are many mandoline’s that are of poor quality. We all know julienne vegetables made of carrots, cucumbers, zucchini. But lets mix it up, ten vegetables and fruits you won’t expect. 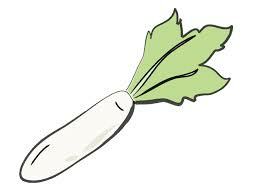 White radish or black radish are ideal to make fresh salades. The taste is soft, so you can use a lot of these vegetables in your salade. You may use the long shaped radish (not the round ones), so you can produce long strings instead of short ones. My favorite julienne black radish dish is quick and simple. 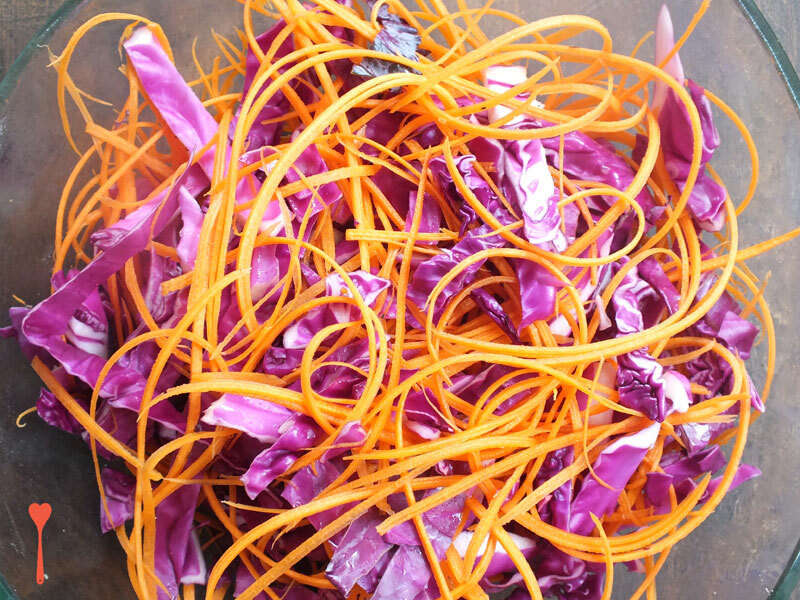 Take your julienne peeler and make a pile of julienne. Spread them out on a backing tray and drizzle some extra virgin oil over the vegetables. Sprinkle coarse salt and pepper to taste over the vegetables. Place the backing tray in the oven for 15 to 20 minutes (180° celsius or 360° Fahrenheit). This is an ideal side dish. What about that, a kitchen utensil that may save your live. Not really save lives, but indirectly it could. Three reasons how a julienne Peeler can help your health and therefor save your live. On the site of CDC (Centers of Disease Control and Prevention) you can calculate how much vegetables and fruits you have to eat each day. The measuring unit for food quantity are cups. On this site you can see pictures of a cup of vegetables or fruits. This way you can get a feel how much is in a cup.